For most of its life, the reef was the world’s largest living structure, and the only one visible from space. 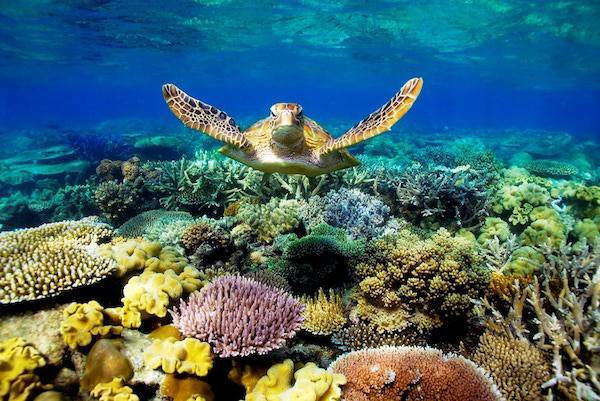 It was 1,400 miles long, with 2,900 individual reefs and 1,050 islands. In total area, it was larger than the United Kingdom, and it contained more biodiversity than all of Europe combined. It harbored 1,625 species of fish, 3,000 species of mollusk, 450 species of coral, 220 species of birds, and 30 species of whales and dolphins. 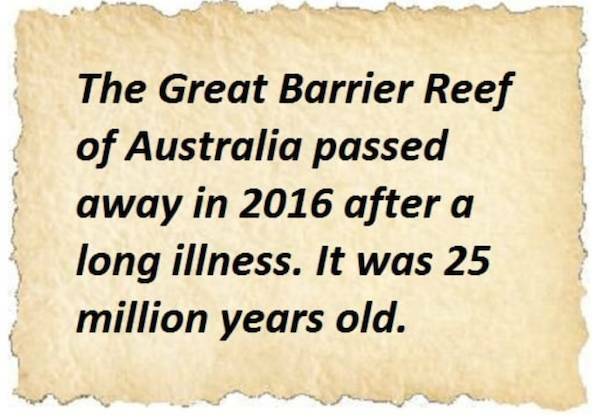 Among its many other achievements, the reef was home to one of the world’s largest populations of dugong and the largest breeding ground of green turtles.